Carnegie study: 58 million trees in California at risk. The dead and the drying. They wave in the wind, brown and brittle, shriveled husks of their former selves. 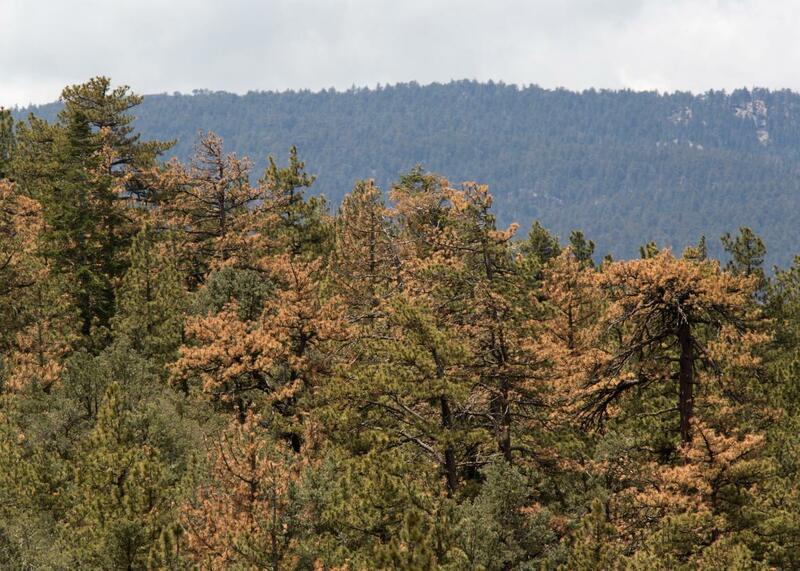 They are the dead and dying trees of California, and they number 58 million, according to an alarming new study just released by the Washington D.C.-based Carnegie Institution of Science. For the study, which was published in the Proceedings of the National Academy, ecologist Greg Asner and his team flew over the state’s forests and assessed their health using laser-guided imagery—kind of like X-raying trees for their water content. The verdict: Cali’s trees are more moisture-starved than would have been expected, even considering the drought. And yes, that includes the iconic redwoods that blanket the northern part of the state. Of course, we already knew that trees were suffering as California enters its fourth straight year of drought. In May, the U.S. Forest Service found that more than 12 million trees in the state’s national forests have perished from the wasteland-inducing weather patterns. This fall, Gov. Jerry Brown declared a state of emergency over the state’s tree situation, calling it “worst epidemic of tree mortality in modern history.” But it was not yet known that this many were under siege. So pity the trees, who are already the silent victims of so many misfortunes: invasive beetles, flesh-eating disease, and greedy little boys in children’s books, to name just a few. But save some of that pity: The death of trees bodes ill for all of us. Dead trees weaken the entire forest structure, making the state even more susceptible to summer wildfires. Sometimes dead trees fall on houses. And in the long run, less living trees means less carbon dioxide sucked out of the atmosphere, which means less protection from the steady march of global warming.